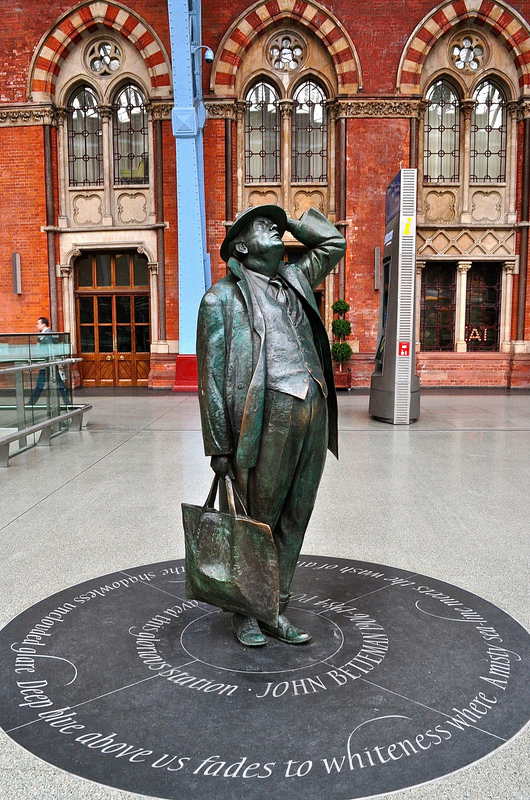 It was only when reading coverage of Martin Jennings’ recent statue of Charles Dickens, just unveiled, that I recalled that I have seen his work – and admired it – before. 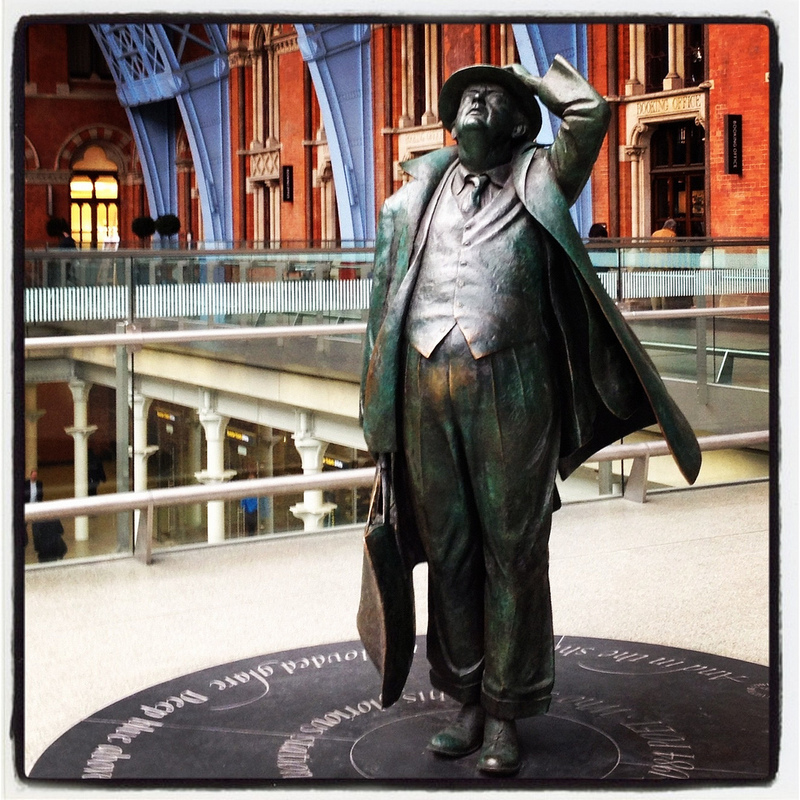 It’s at St Pancras International and it’s a statue dedicated to Sir John Betjeman who was instrumental in the fight to save Sir John Gilbert Scott’s St Pancras from being demolished in the 1960’s, fighting literally to the 11th hour. 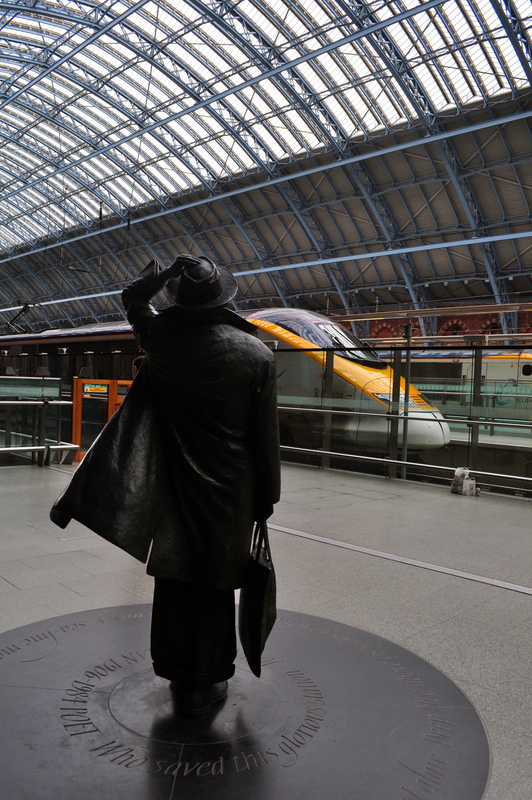 When St Pancras International reopened as the terminus for Eurostar in November 2007 – and Europe’s rail gateway – Martin Jennings’ was commissioned to design a statue of Sir John, standing as a tribute from London & Continental Railways to the man who made their redevelopment of the station possible. 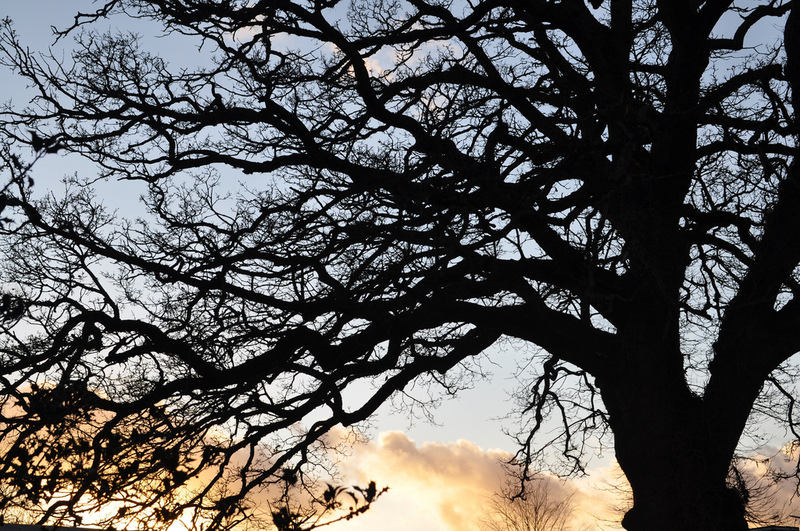 Cast in bronze, it is 2.1m tall or 8.5 ft.